I had an hour before the girls got home from school and the snack options were looking pretty non-existent – I seem to have stopped buying a lot of snacks with all the baking I’ve been doing! 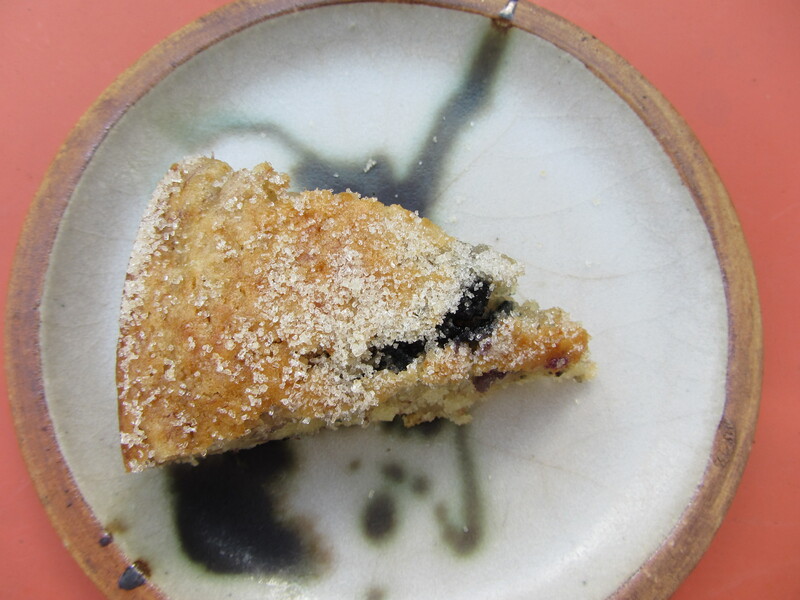 However, there was one very over-ripe banana and a handful of rather forlorn blueberries sitting in the fruit bowl – hence the inspiration for this recipe. 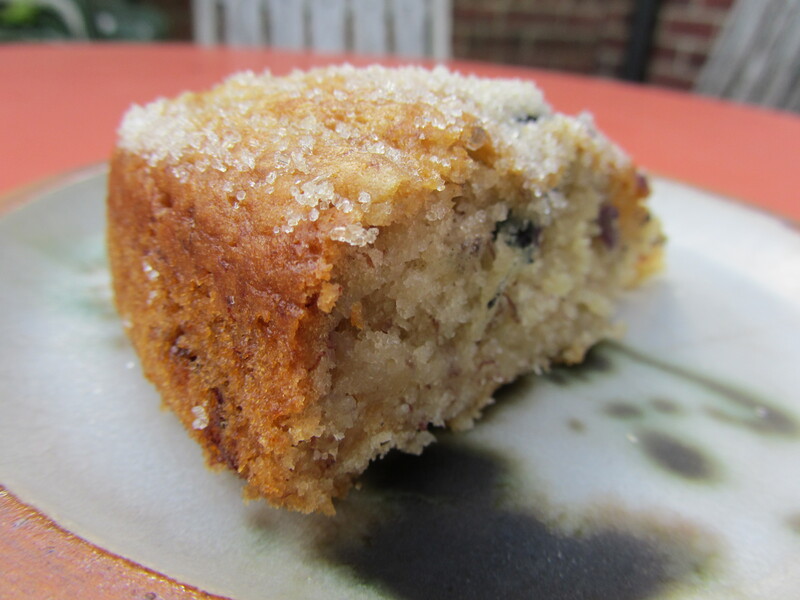 I didn’t think that the flavours would shine with so few ingredients, but it produced one very banana-y and blueberry tasting cake that filled empty, just home from school tummies, but would also work perfectly with a cup of tea or coffee. – Sift together the flour, salt and baking powder. 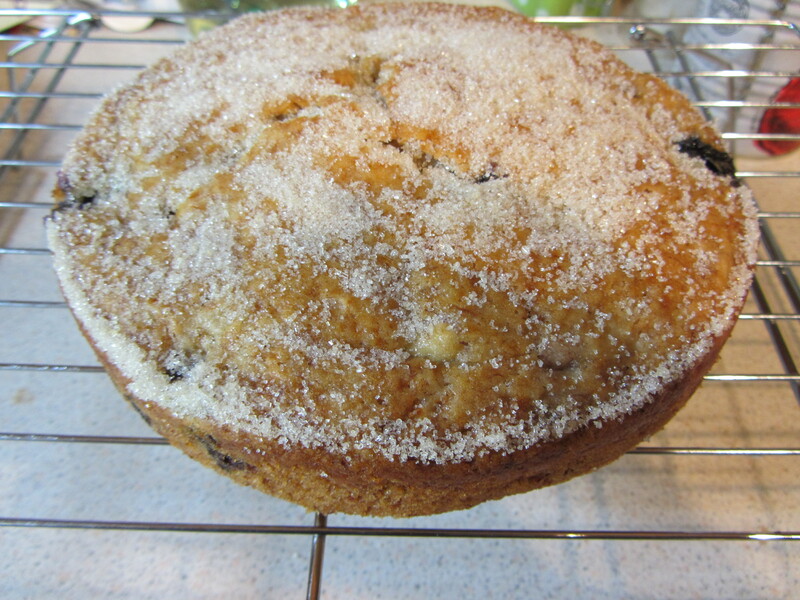 Stir in the blueberries so they get coated in flour. – In a separate bowl, mash the banana. Add the oil, vanilla and water. Stir well. – Pour the wet ingredients into the dry and mix gently. – Pour into the cake tin. 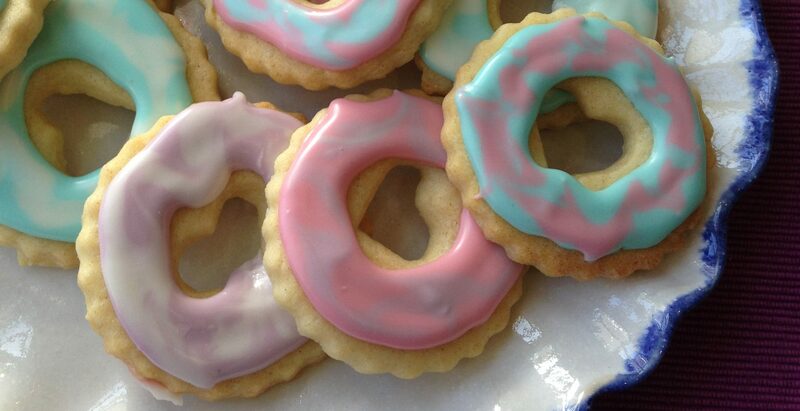 – Sprinkle with more sugar and bake for 40-50 minutes, until a knife comes out clean. – Cool, then remove from the tin and leave to finish cooling on a wire rack.